IBM colaborated with Sony and managed to achieve the highest areal density of 201 gigabits per square inch (Gb/in2) for magnetic tape. The 330 TB cartridge capacity could be doubled every two years. Magnetic tape data storage has been around for more than 60 years now, and IBM is one of the companies that pioneered the adoption of this standard. Nowadays, this technology is not that widely used anymore, but this has not stopped IBM from continuing to perfect it. IBM even collaborated with Sony in order to achieve improved tape storage densities and has recently announced that it was able to fit "330 terabytes of uncompressed data on a single tape storage that would fit in the palm of your hand." 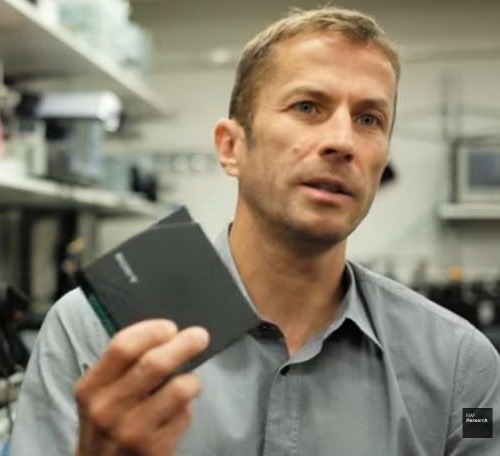 IBM Research Exploratory Tape Scientist Mark Lantz explained that IBM managed to achieve the highest areal density of 201 gigabits per square inch (Gb/in2) for magnetic tape, but the 330 TB cartridge exists just in theory for now. "Foremost, this demonstrates the potential to continue scaling tape technology, basically at historical rates of doubling the cartridge capacity every two years for at least the next ten years," Lantz said. Since we have not seen much progress with disc storage technologies like Blu-Ray, the tape storage business could flourish once again in the years to come. The 330 TB tape cartridges could be used for cold storage backup, on top of the cloud storage solutions preferred by companies these days.